Sharing memories of an island escape. 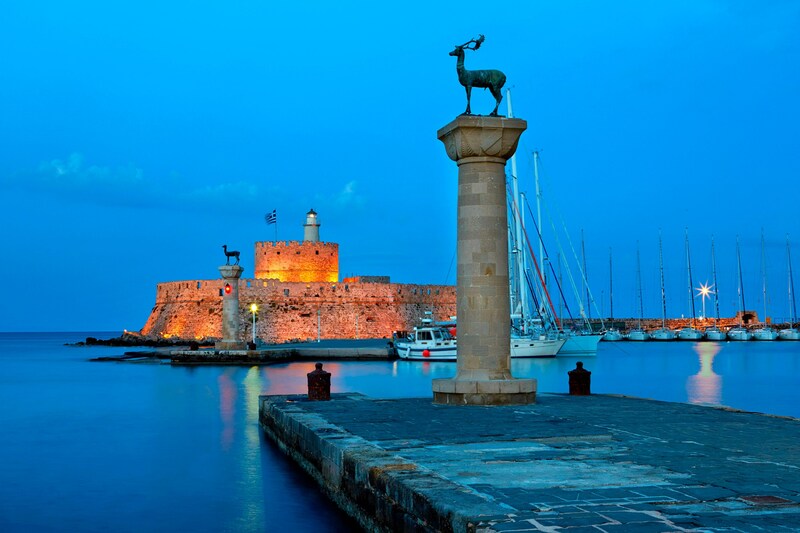 Rhodes, a city with 2.400 year history, the place that gave birth to legends and hosted significant personalities of politics, the arts and culture, with a beauty that enthralled its conquerors through the centuries, hosts the welcoming Sheraton Rhodes Resort. The hotel, cocooned in the beauty of its attractive lush gardens with the blue expanse of the pristine waters in front of its private beach, is ideally situated in a key spot in Ixia, just 4 kilometres from the famous Medieval Town of Rhodes – the best preserved Medieval City in the world and an UNESCO World Heritage Monument. Sheraton Rhodes Resort encompasses in its grounds and services the very things that Rhodes offers: natural beauty, unique architecture, a variety of entertainment options, modern infrastructure and traditional hospitality. 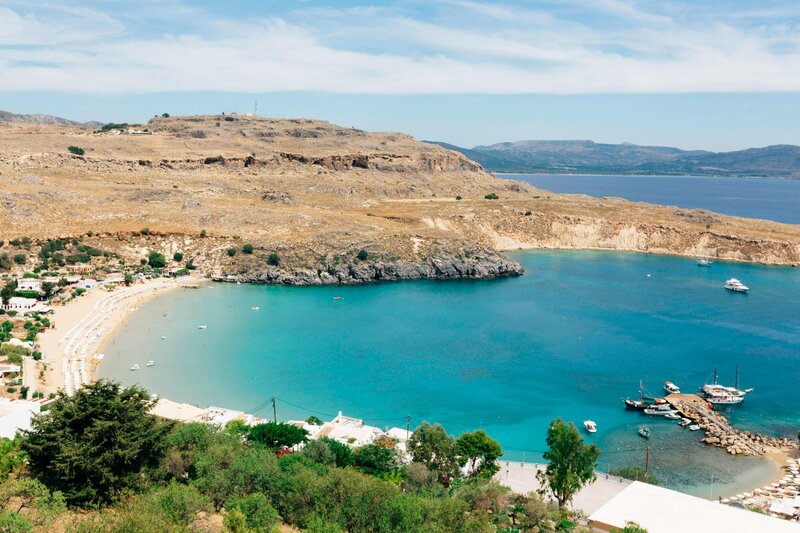 Discover the famous Greek island of the Dodecanese. The place that gave birth to legends and hosted significant personalities of politics, the arts and culture, with a beauty that enthralled its conquerors through the centuries. 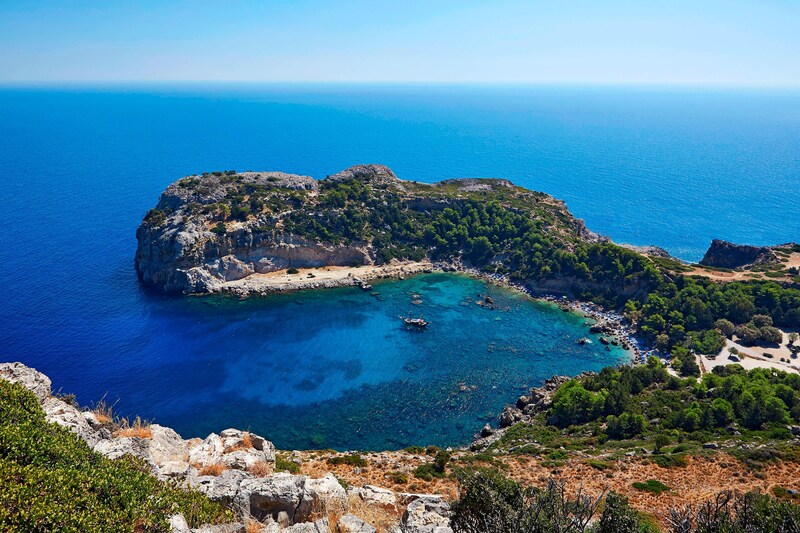 Some of Rhodes’ historic location jewels include The Medieval City, the Mandraki area, Lindos, Kallithea Springs, Philerimos Hill, the Valley of Butterflies and the famous beaches of the island. Discover our Beach & Pool Experience and relax under the Mediterranean sun and enjoy the finest relaxing and recreation feelings. Lounge at one of the three sparkling outdoor swimming pools or indulge in the finest relaxing feelings of the indoor pool located in our authentic spa. Enjoy the water sports available at the beach or test your skills on the Tennis and Squash courts. Our younger guests are always treated specially, with a variety of services and venues dedicated to their them. 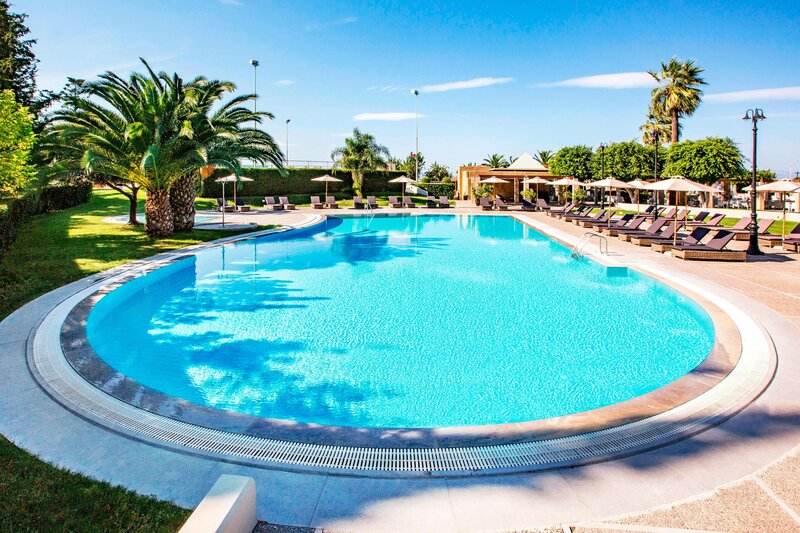 Sheraton Rhodes Resort offers a Kids&apos; Club for children 4-12 years old with a children&apos;s pool and various special activities. Experience Mediterranean cuisine at its best at Sheraton Rhodes Resort. An excellent choice of restaurants is available at the resort, the cuisine ranging from traditional Greek to international tastes. At L&apos;Onda, Executive Chef Konstantinos Vasileiou showcases modern yet authentic Italian cuisine with a contemporary twist. Unrivaled Aegean views are accompanied by Thèa&apos;s authentic flavors that arise from local ingredients. Specialties include Greek salad, grilled feta cheese in a herb crust, saganaki prawns, chicken souvlaki on a lemongrass skewer, and galaktompoureko. 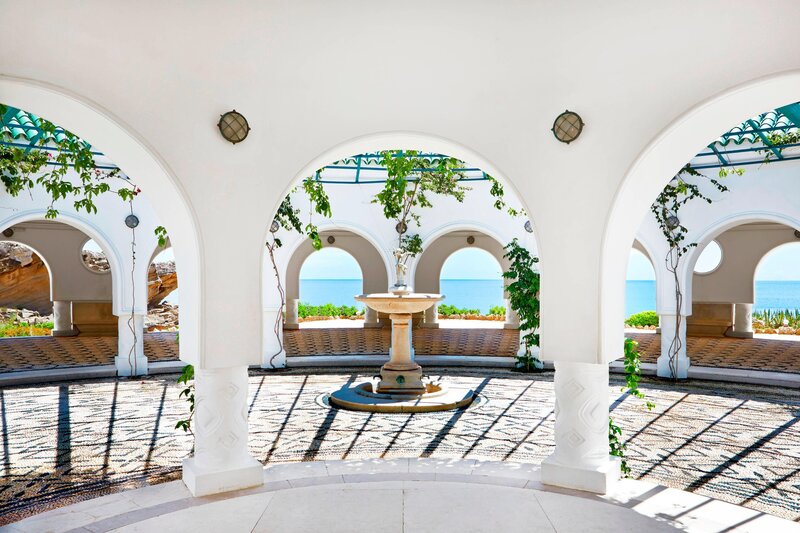 Mediterraneo Restaurant is situated into the colourful gardens of the hotel, full with olive trees and plants native to the Mediterranean region and by the main pool of Sheraton Rhodes Resort. A sumptuous buffet breakfast and a variety of international dishes are served in Castellania&apos;s warm, relaxed atmosphere. Vegetarian dishes and an inspired selection of nutritionally balanced, healthier fare are standard offerings on all menus. On the 6th floor of Sheraton Rhodes Resort with the magnificent sunset view, there is an area dedicated exclusively to your relaxation. From morning to late in the afternoon, the Pool Bar is the ideal choice for a delicious and healthy snack, a refreshing soft drink, a stimulating coffee or even a light cold alcoholic drink or a beer. 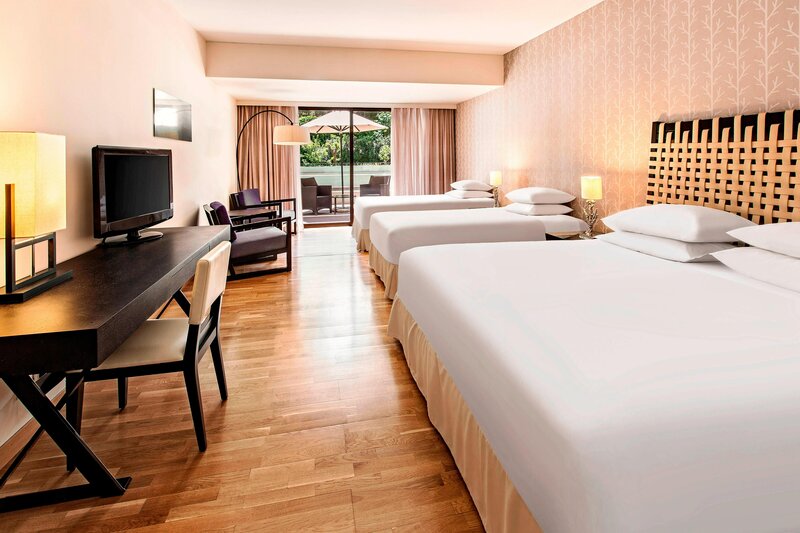 The Aqua Deluxe Room is the finest expression of a room with a view, right in the heart of the island of Rhodes. A spacious room with magnificent views over the Aegean Sea, introduces you the ultimate relaxation feelings by featuring a modern Jacuzzi.